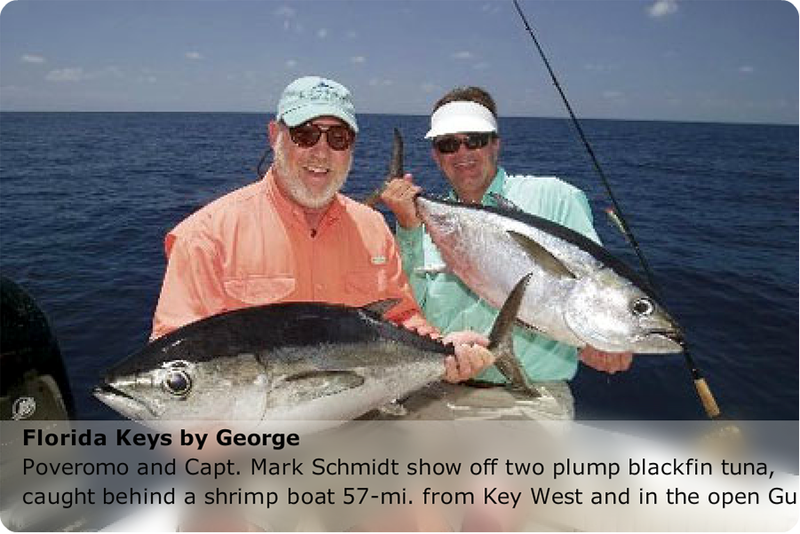 A Few Words About The Florida Keys From George . . . . . . . .
My history in fishing throughout the Florida Keys dates back to when I was eight- or nine years old. My father, then a dentist in Bay Harbor Islands (Miami Beach), would trailer his boat to Key West several times a year, where he’d set forth for the Marquesas, an atoll some 28 miles-west of Key West. Out here, he and close friends Bob Colvin and Charles Flora would pursue their favorite fishing passion - catching groupers and snappers on the Gulf rock piles. There was not a fishing destination more popular with my father than the Marquesas. And when I was old enough to last a full day aboard his boat, I became a regular on those fishing trips. In short, I’ve been fishing the Marquesas rock piles for five decades! 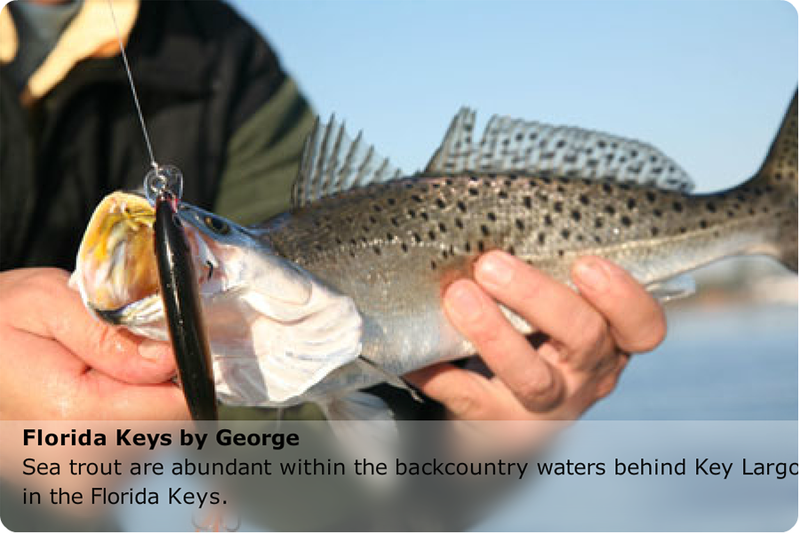 But bottom fishing wasn’t the only draw that lured us down to the Florida Keys. From nearly the very beginning of my fishing, it was the king and Spanish mackerel runs that found us off Islamorada during the winter, and the snook within Key Largo’s Jewfish Creek that brought us to Gilbert’s on many a weekend and holiday. As the years progressed, so did the Florida Keys destinations I would fish at: Big Pine Key, Marathon, Tavernier, etc. When I turned 19, and about the same time my father bought a vacation home in Key Largo, I would trailer the family Mako here with friends nearly weekly. We enjoyed sight-casting for big winter barracuda on the patch reefs with six-pound class tackle (my largest on that line class was a 31-pounder), yellowtailing, deep-jigging and live-baiting along the reefs, and, of course, trolling and running-and-gunning for dolphin offshore. A typical year during that era would include numerous trips to Key Largo – where we’d ply the patch- and offshore reefs for bottom fish, king and Spanish mackerel and sailfish, and the Gulf Stream for dolphin; several trips to Key West – where we’d fish the Marquesas, the Atlantic reefs and wrecks for everything from bottom fish to kingfish and blackfin tuna, and Wood’s Wall for dolphin and blue marlin. 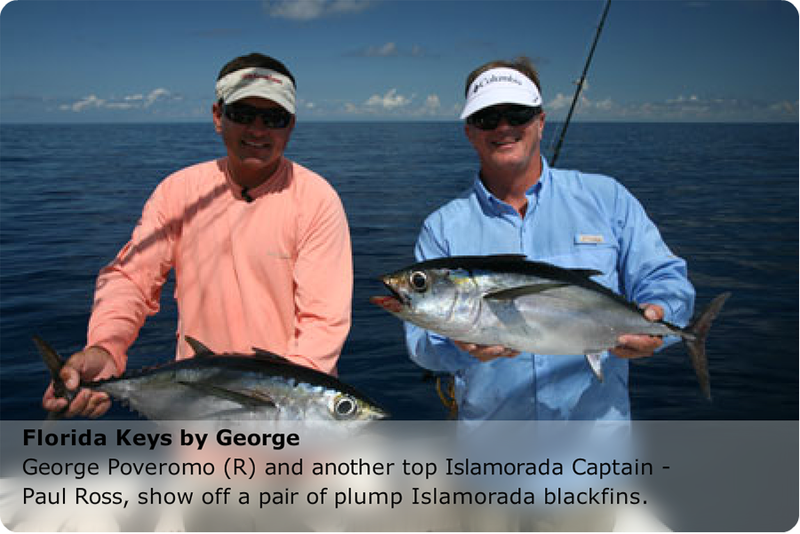 There was also at least a trip or two to Islamorada, where we dolphin-fished, pursued blackfin tuna on the humps, and reef-fished for sailfish, kingfish and yellowtail, and often a stop at Marathon and Tavernier. This circuit lasted for at least a decade. Today, I’m in the Florida Keys at least a half-dozen times a year, with at least one stop in Key Largo, Islamorada, Marathon, the lower Keys, and Key West. 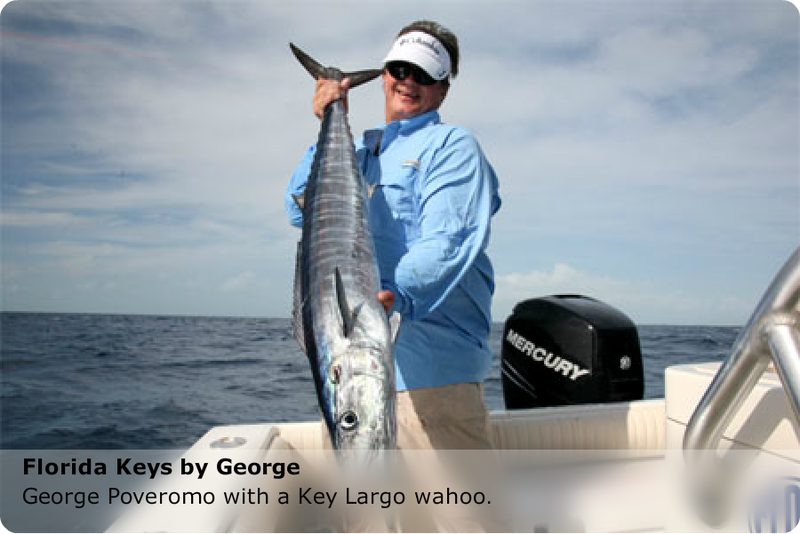 The Florida Keys are unquestionably a fishing paradise. It’s all here: bonefish, permit and tarpon inshore; snappers, groupers, amberjack, mackerels, cobia, sailfish and tuna on the Atlantic reefs and wrecks; permit, cobia, groupers, snappers, amberjack, and mackerels on the Gulf-side rock piles and wrecks, and everything from dolphin to broadbill swordfish within the offshore waters. 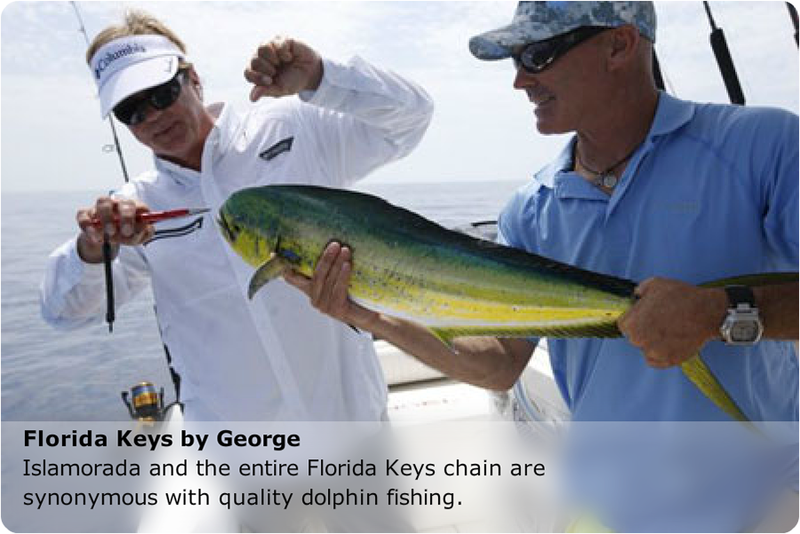 The Florida Keys have played a very instrumental role in my fishing career, and continue to do so to this very day. Come on down to the Keys destination of your choice, and see why I’ve been trailering my boats down here for over all these years! The fish will be waiting on you.